Trader Joe’s is unlike any other grocery store I know. No muss, no fuss. Low prices without any coupons or cards to keep up with. Simple selection without lots of brands to sift through. No artificial flavors, preservatives, or trans fats. Outgoing, helpful sales people who ring bells and don’t yell over loudspeakers. Plus, TJ’s often has ingredients that I can’t find at a larger supermarket (i.e. lady fingers, saffron, frozen artichoke hearts) but still at a reasonable price. What’s not to love? Well, there is one caveat. Since TJ’s shelves are only stocked with one or two options for each item, it’s easy to miss things. This is why we have to share our TJ secrets! Here’s a list of things I enjoy buying at TJ’s. Am I missing anything amazing? I even love TJ’s website because they have easy recipes like this one I made my own. 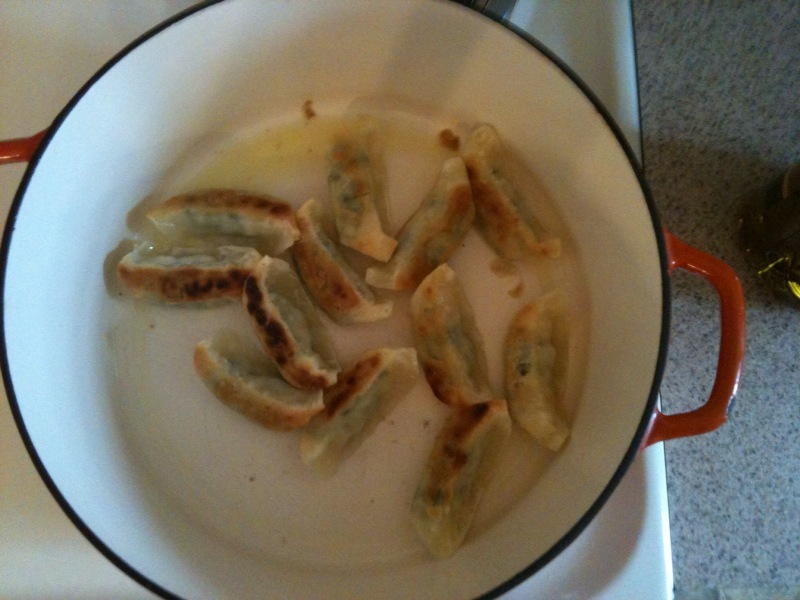 Coat the bottom of a Dutch oven with oil (about 2-3 tablespoons) and lightly fry the gyoza over medium-high heat until brown and crispy on both sides. 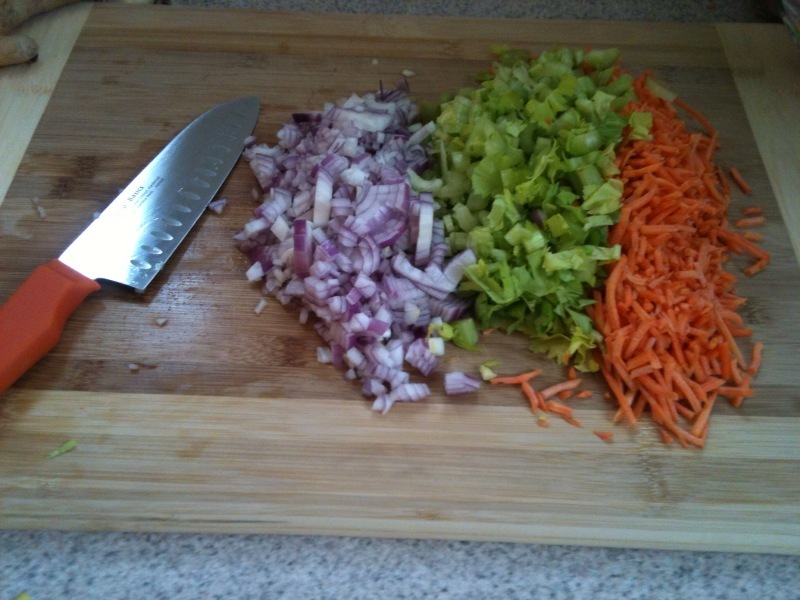 Meanwhile, chop your veggies. Once gyoza has browned, remove and drain on paper towels. 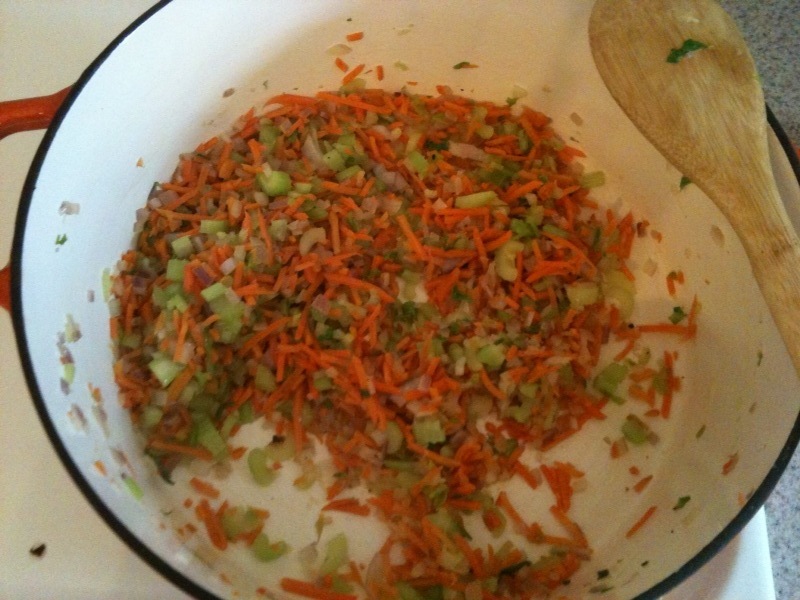 Add a tablespoon of oil to the Dutch oven and toss in the onion, celery, and carrot. Sauté until the onions start to appear translucent. Add the garlic, ginger, and red pepper flakes, cooking another minute or two. Add the chicken stock to the pot and bring to a slow simmer. When the soup has some energy, add the soy sauce and sesame oil. When the soup is officially simmering, add the gyoza. Serve in bowls and garnish with lots of cilantro. Optional additions: spinach, edamame, lime juice, green onion, and/or noodles. 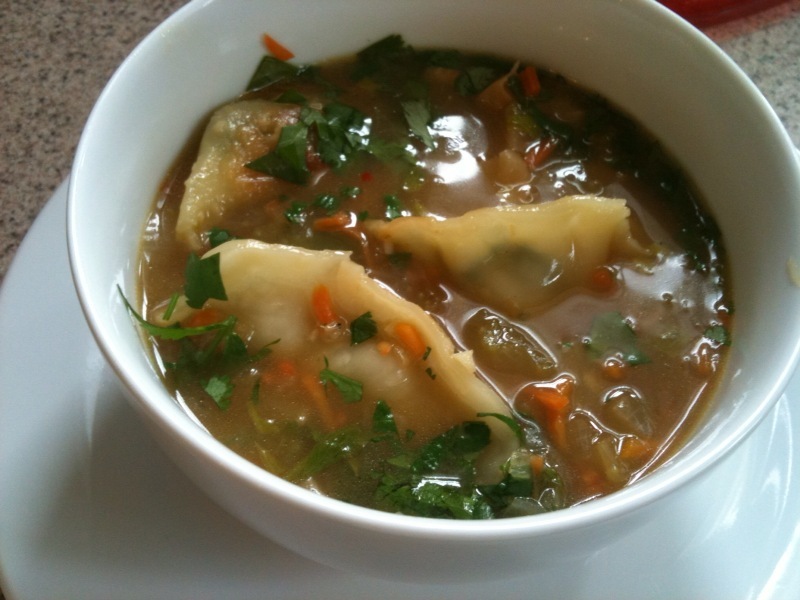 Categories: Recipes, Uncategorized | Tags: trader joe's, wonton soup | Permalink.